Tonight I'm headlining The Boulder Comedy Show! two shows 7:00 & 9:15. Tonight I will be performing at the Bug Theater for Plethora, a variety show created by Spencer James. Marc Maron in KC Tonight! Excited to see Marc Maron for the First time tonight, and my friend Maeret Lemons is opening! Jon Wayne and The Pain, with The Beardinators at The Outland Ballroom, show starts at 9:00! *Ladies, college and military night - admission is only $2 with ID! I hope to see you all at The Farm for what is sure to be an amazing gathering of art and music. 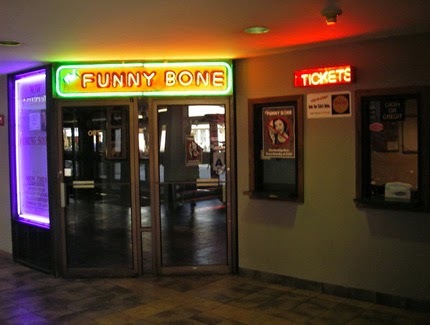 Working out a set at the Westport Funny Bone tonight in STL. I will be headlining Goonies Comedy Club this weekend 5/15-16! Two shows each night 7:30 and 10:00. Deadheads Meet up at the movies tonight! I had a great time shooting the breeze with these guys, and girls in Springfield last night! I hope you enjoy it as much as I did.